Margaret Dabbs in Alderley Edge is offering one lucky Luxury Cheshire follower a full medical pedicure worth £85. 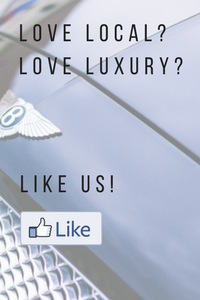 Simply ‘like’ the competition post on facebook and add a comment describing where you would show off your lovely new feet…and PS. don’t forget to tell a friend, so they can be in with a chance too. The medical pedicure is offered at the Margaret Dabbs Alderley Edge salon and must be taken before 31st October 2017. No alternative prize or cash alternative is offered. The competition closes at midnight on 31st August 2017. Entrants must be aged 18 or over. Entrants are included in the draw who: Like the competition post AND have commented on the post. The winner will be drawn on 1st September at random from a list of entrants. The winner will notified via facebook messenger on 1st September 2017. Luxury Cheshire and Margaret Dabbs reserve the right to publish the winner’s name on their websites and social media channels.